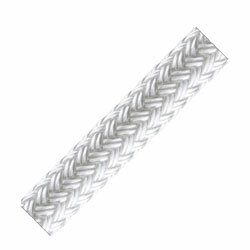 As the #1 double braid in America, Sta-Set is a strong, flexible, and long wearing line. It is high strength, low stretch, and extremely durable, yet it still remains soft over time. Sta-Set is both easy to handle and splice. A true multi-purpose line used for sheets and controls on a wide range of boats from 420s and Flying Scots to Keelboats. The ideal line for collegiate programs and sailing schools looking for a high quality line with superior durability and dependability. Perfect for halyards, mainsheets, jib sheets, and control lines.